A community radio station that is not truly madly deeply responsive to the needs of the community is not a community radio station. 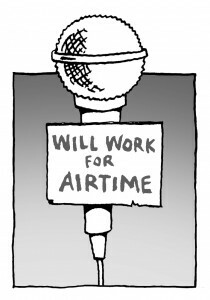 A community radio station that waits for the opinion of the community before it does anything will shrivel up and die through sheer inertia. Somewhere between those two extremes lies the ideal balance of accountability and managerial freedom. Finding that balance is an ongoing and demanding challenge for any station.. This is another area where what we ought to be doing as community radio stations is mirrored by what we are required to do by the Community Radio Order and the Ofcom criteria. Your accountability structures will allow (and require) the station to genuinely represent and serve the needs and wishes of your community – and prove that you are doing so. They will also guarantee that every volunteer, staff member and director is properly serving the needs of the station and therefore serving the community. 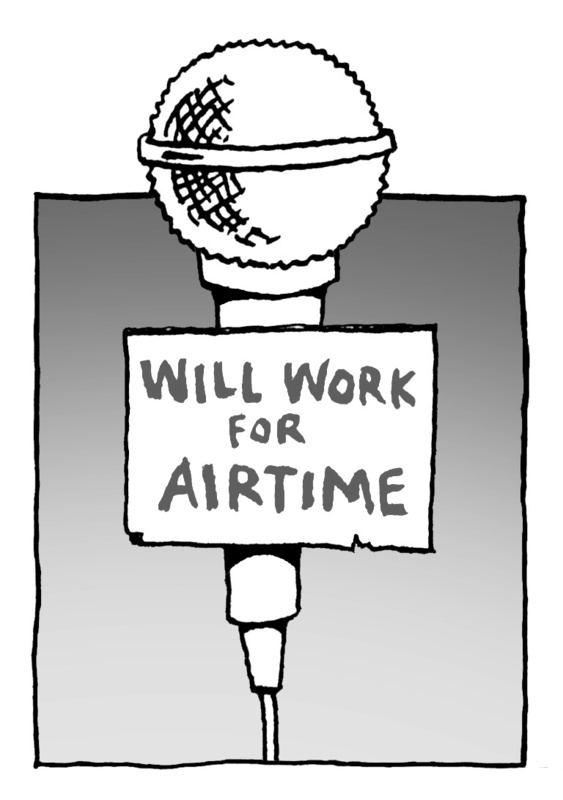 There are a number of important requirements for any community radio station. A good legal structure. You need to decide how your station will be legally structured – as some form of social enterprise or as a charity. Will your accountability functions be carried solely by the board or will there be another link, such as a representative steering group? Clear distinction between authority and accountability. A station manager may not need permission to order a packet of paper clips, but must be able to explain to the community (if asked) why those paper clips were necessary. Clear responsibilities. The structure of the station should specify whose job it is to buy paper clips . A good board of directors. The board has the right to accept as much management responsibility as it likes. If a director does want to be responsible for the purchase of paper clips, he is obliged to do so swiftly and buy a suitable brand. Clear internal communication. It should be very easy for anyone at any point of the organisation to find out who bought those damned paper clips and why. Good, clear reporting is especially important between staff and board. Good internal co-operation. If the staff, board and/or representational committee are in conflict, it will be almost impossible for accountability systems to be effective. Where possible there should be some crossover, so staff representation on the board for example, is highly desirable. If your station is a registered charity this is legally forbidden (with certain exceptions), but ‘observer status’ is a useful substitute. The station manager will usually be a necessary participant as she controls the flow of information – she is usually the one with the most detailed knowledge of paper clip supplies. A sense of perspective. If your board of directors and staff spend much more than a nano-second discussing the purchase of paper clips then, let’s face it, you have a problem. Sort out all of the above for the community and reporting to funders and other partners should be easy. They actually care about paper clips. Better access to funding, some of which is only available to charities. Free advice from the Charities Commission on all legal and constitutional matters. Less flexibility in management structures. Greater demands on trustees and board members. Restrictions on democratic involvement in station planning and activities (why?). Restrictions on trading activities. In particular, a charity is only entitled to earn a certain percentage of its total gross annual income from trading (as opposed to revenue derived from its charitable activites). If it exceeds that limit all of its profits become taxable. Makes it clear to all where you’re coming from and that you can’t run off with the ‘family silver’. The last of these can be at least partly alleviated – if you are heading for the dizzy heights of the OFCOM 50% commercial revenue ceiling – by establishing a separate trading arm of the charity. This is owned by the company but is a separate company and must be run separately with a different board. The trading arm will donate profits to the charity (and get tax relief), but the charity cannot subsidise the trading arm. Even premises must be paid for at a market rate, so the company would have to be paying rent to the charity (assuming they are based in the same building.) Staff cannot be shared between the companies, or if they are they must draw two separate (part time!) salaries. Please note that charities also incorporate as companies limited by guarantee, so the charitable status ‘overlays’ that of the limited company. The Constitution can secure the Board from takeover and specify what directors’ roles are. Structures can be created to represent the workers, volunteers and the community and to ensure that the Board have to respond to suggestions from these groups. Benefit from the growing availability of funding specifically for social enterprises. No exemption from VAT or corporation tax. However some local authorities are willing to grant Rates relief to social enterprises as if they were charities. The restrictions on directors retaining surpluses are not strong. Community Interest Companies are a relatively new (in 2014), regulated form of social enterprise that ensures that the company’s assets can not be distributed. This makes them a ‘stronger’ form of non profit company compared to companies limited by guarantee – especially for funders who might need otherwise need assurance that company owners cant procure assets that funders paid for. Thus – CIC directors and employees can earn a wage, and depending on the form of CIC, earn a dividend up to a statutory gap – but cannot own the company assets eg. once it folds. The CIC Regulator has a lot more information on the different forms of CIC, model constitutions and application forms. A less appropriate structure for community radio than it might appear. They will not attract tax or rates relief. Financial; a trained accountant or experienced financial manager is essential to keeping a good grasp of your accounts. Legal; If you can persuade a company/employment law specialist to join your board you will soon see the benefits, not least saving a fortune in legal bills. Marketing and networking. Although a professional marketeer is useful, the best are often community or charitable sector veterans. So many opportunities are found through personal contacts and networking that this should be a top priority for your directors. Fundraising and applying for grants. Community development experts. Many of the skills required in community radio are directly transferable from other community work. It must be noted however, that different community radio projects have very different ideas as to what a perfect board looks like. Bradford Community Broadcasting, by any measure one of Britain’s most successful community stations, have achieved their position with a board drawn entirely from the volunteer base, with none of the ‘great and good’ drafted in for the sake of expertise. What this approach lacks in range of skills, it makes up for with dedication, accountability and a strong bond to the community. However experienced your board may be, you need to ensure that they understand their legal duties and responsibilities as a company director. In recruiting members of your board, you must ensure they are completely aware what is expected of them, and the possible consequences if something goes wrong. ’Breach of trust’ (fraud, theft, unauthorised activities etc) if the company is a registered charity. Providing the board conduct their duty of ‘due diligence’ – that is doing their utmost to ensure that everyone at the station is behaving properly and honestly – the financial risks involved becoming a director or trustee should not be a concern. Potential directors are much more likely to be put off by the time and effort required. Inevitably, many of the people in your community who would be most useful to you are similarly useful to other committees, boards and community groups. Should be clear about their level of commitment to the station. Don’t bully someone onto your board if they won’t have time to attend meetings and offer additional commitments to the station, and whenever a new board or new board member arrives there should be a clear understanding of how much commitment is required. Perhaps someone will have such relevant expertise that they would be a valuable board member even if they can only attend four meetings a year, but in most cases you should ask for and expect considerably more involvement than that. For example at Radio Regen, which is a charity, the Board meets every six weeks. There are eight members, recruited for their diversity of skills and commitment to our aims. Apart from the meetings, some Directors are cheque signatories and others support the senior management more regularly, joining them on strategic meetings or being available for advice. Some Directors are only seen every six weeks but that seems to work for us. That said, we are a larger than average community radio organisation and it seems fair to suppose the smaller the organisation, the more hands-on involvement might be needed from Directors. From OFCOM’s point of view, the single most important function of your company structure is representing your community. You have to show a formalised relationship with your community, allowing opportunities for participation in setting the direction and management of your station. If you don’t show how you will do this, you will not receive a community licence, but more importantly you will not be operating as a community radio station should. Good community representation is essential to your proper function and also to your public image and status within your community. It is not only the ‘right thing’ but it clearly demonstrates to residents that your station is part of the community. A strong representative function to your board of directors. A separate representative management committee or steering group that works closely with the Board. One of the things we’ve learned at Radio Regen is that you can’t just parachute into the community and start a community radio station. If I could go back two or three years and do it again, one of the main things I would do differently would be to get the community far more involved in the steering group from the outset. It’s something we’ve learned our lessons from. It’s not that we haven’t been involved with the community from day one, but we would have benefited from more weight and authority in what we were doing. If you get it right, it gives you the authority and the backing of the community. If anyone says ‘you don’t represent this community’ you can say to them well look, here’s our steering group – tell me they’re not from the community. It validates what you are doing in the community and it gives you that support you need. If you keep all your representative functions within the board, there will be a clearer and simpler management structure and decision making will be eased, but often at the cost of broader democratic involvement. It is vital that your board represents your community both demographically and functionally – so a board of grey-suited, middle-aged white men can never claim to represent the interests of an inner city multicultural community. On the other hand, even the most culturally and socially diverse board is still useless if it is deaf to the needs and wishes of the wider community and has no clear mechanisms by which those wishes can be heard and acted upon.. Similarly, the representative Board will fail the station if it lacks the skills to manage and support the staff. Unless you get your community research and consultation right at the beginning (see Box) you will always struggle to be properly representative, and unless you keep referring back to the (often changing) needs of the community you can stagnate and become locked into activities which are imperfect at best, and utterly irrelevant at worst. When your board is being elected or appointed, everyone must be aware that representing the community is one of its most important functions. The alternative – a separate management committee or steering group – also has potential pitfalls. You may find that their priorities or wishes are very different to those of the board and conflict between the two committees could be disastrous. It also means that there will be more meetings, more minutes, more memos and more work. These problems can be minimised by clear division of responsibility. It is vital that the two committees have separate powers, and are totally clear about what is their own responsibility and what is the business of the other, to avoid confusion and duplication of work. When ALL FM created the independent structure that enabled the station to become independent of Radio Regen, it opted for a division between broadcast issues and operational management. Members of the steering group, chosen specifically for their close ties to various sections of the community, have considerable input into and limited control over scheduling, programming and the nature of the radio produced at the station. The directors, chosen for their skills, experience and knowledge, take responsibility for all financial, managerial and day-to-day business. The legal ownership does rest with the Board but it is constitutionally obliged to take notice of what the Steering Group says. This model was chosen as the best one for their large, complex inner city community, but is by no means the definitive one. Other stations will find very different systems offer an equally good balance between representation and efficiency. It’s easy to talk about representing communities, much harder to do it effectively. Your board and/ or representational committee will probably be formed from a mixture of representatives elected at the company AGM and appointees, chosen because of their expertise or their role at the station or in the community (or both.) An elected committee may be representative of the wishes of the meeting which elected them, but that is no guarantee that they represent the wider community. They may just be those with the loudest voices or the most enthusiasm. Even appointees may be problematic. There can be a temptation to think that just because someone is a woman e.g. of South Asian origin she automatically speaks on behalf of all women and all ethnic minorities. In practice communities of any nature are endlessly complex, and can be riven with internal suspicion and politics. Hopefully it is part of the role of community radio to transcend and if possible help heal these divisions, as the experiences of Desi Radio in Southall demonstrate. But that is unlikely to happen unless all sections of the community feel that they have a stake in the future of the station. Your representation should not be driven by statistics (a 40% Ruritanian community should not mean you have to have a 40% Ruritanian Board) but by the idea of giving due weight to representatives if they actually do represent a significant community within yours. The right group will do this instinctively. Most of all the people on your committees need a commitment to enabling your station do its job. For all the importance of community representation, it should not be forgotten that it will be the station staff (and particularly senior management) who have to keep the station running and put into practice the decisions made by the board or steering group. Invariably it is the staff who will have the best grasp of what can be achieved and what cannot, and they will often be the first to identify problems which need to be addressed. It is vital that they not only respond to the agenda set by their representative committee but also implement changes. The perennial problem with representational committees is that they want to do more than resources allow. It is up to senior management to lay out options as to what is achievable. A steering group will make much better decisions if they are given a choice of possible options and their implications, rather than a blank slate to suggest what they like. In return, it is the manager’s duty to be open to creative thinking and new directions from the community, and respond accordingly, rather than going through the motions and then doing exactly what he or she would have done anyway. A good relationship between Committee and staff will be underpinned by respect and the openness that flows from that. The Committee will respect the knowledge of the practicalities that the staff possess and the staff will respect the authority of the Committee. The openness is the clear structures and communication that underpin the relationship. To a large extent the volunteers are the radio station. If the station isn’t structured in such a way that their voices can be heard and responded to, it is unlikely to keep many volunteers for long. Your volunteers are the frontline of your community, and so their needs and wishes should be paramount. While they will have a role in electing their representatives on management and steering committees, there is a strong case for giving them much greater input than that. “For the first year of the Access Pilot at Wythenshawe FM and ALL FM we tried to maximise the benefits – throw as many people as possible on air and enjoy it as much as we can. We had about 160 volunteers, a crazy schedule all the time, and that was when we got the first inkling that the RSL model doesn’t work long-term because we were close to losing staff through exhaustion and burn-out. When the pilot was extended a new project manager came in and quite correctly judged that we couldn’t cope with that level of activity. He made a decision to reduce the broadcast hours and therefore the workload on both stations, cutting the evening and weekend schedules. Although OFCOM makes no demand that your volunteers have an official say in the running of your station, you might wish to give them one anyway. One useful step would be to establish a formal volunteers’ group or regular meetings where they can raise concerns, problems and ideas with staff and board members. Volunteers can sometimes feel intimidated by grand titles like ‘manager,’ ‘director’ or ‘steering group’ and prefer to raise problems with their peers. Just be sure that any such group has genuine input into management decision-making, and is not just there as a forum to let off steam. That is likely to lead to resentment and be counter-productive in the long-term. It has to be a genuine system for addressing grievances and bright ideas, and should be fully explained to every volunteer as part of their agreement and induction. Needless to say this defined group would be unnecessary if as has been done in Bradford, the volunteers make up most of the Board. That said, be wary of letting a large group of volunteers run the station. They inevitably have less understanding of the complexities of community radio. In most cases they will be much more focussed on broadcasting and be less interested in social gain targets. There is also likely to be a degree of self-interest – the success of their own shows will naturally be the most important thing. Squabbles and in-fighting are real risks, particularly whenever there’s a new schedule being planned. From the management’s point of view, there are many more pressing questions than whether DJ Mimi Me gets to keep her late night experimental electronica show, but never forget that happy volunteers are effective volunteers. They are also an incredible conduit back into the community – word of mouth of alleged mistreatment of a volunteer, or of incredible successes, goes straight back to the listeners and the station’s standing can live or die by it. In most cases your funders will want no more from your station than hitting your targets and good project monitoring and reporting. In some cases they may want more, possibly even a say in the running of your station. This is only likely to be the case when a single organisation (such as a local authority or larger community group) has also played a significant role in establishing your station in the first place. In such cases a seat on the board is probably a reasonable request. but ensure that the person concerned understands his or her obligations as a company director are to the best possible management of the station, and if conflicts of interest do arise, a tactical abstention is the best route for all concerned. For example,. the CMA circumvents this in their ‘Council’ by being very clear that members sit in a personal capacity, not as representatives of their organisations. Also, most local authorities have strict guidelines limiting Board-level involvement precisely because of the legal obligations towards your company that that would bring. This can be resolved by allowing ‘observer status’ to such bodies. While your formal structures should ensure you broadly represent the wishes and needs of your community and that you meet your obligations to OFCOM, they are not the whole story. Much of the most useful and important input you receive may not come through AGMs and board meetings, but from little scraps of paper dropped into your suggestions box or passing comments picked up from your website or conversations. The manner in which you collect and respond to your feedback will go a long way to determining how responsive to your community you really are. It might be tempting to shy away from generating too much feedback, especially if you are nervous about what you might hear. You might think it is enough to sit back and wait for brickbats or plaudits, and to deal with them as they arrive. The problem is that you will only hear the opinions of the pushy and the seriously aggrieved. If you can make it as easy as possible to offer feedback and actively encourage it, you will get a much fuller, more useful picture. Encouraging it on air. Train your presenters to actively encourage phone calls, letters and emails. You could even host a regular show where listeners phone in and discuss the station with management. Community radio pioneer Lol Gellor of the Hackney-based Sound Radio at one time hosted a weekly ‘Mea Culpa’ show where he dealt with all manner of comment from his station’s community. Although initially producing vibrant and useful radio, the show had to be dropped following a decline in the number of callers. This may be a tribute to Lol’s peerless station management skills, but more probably demonstrates that feedback – like a police officer or a late night taxi – is never around when you need it. Hold open days and public meetings. Is a crucial aspect of your responsibility to your community. Should be responded to fully, politely and swiftly, and acted upon where appropriate. Design a simple satisfaction questionnaire that can be completed in a few minutes after visits to the station or on the telephone. It should include both five point scales “very satisfied” through to “very unsatisfied” on relevant measures, but also open ended questions that allow for new and different ideas. Keep a Visitors’ Book at the front door, as well as whatever registration, monitoring and attendance forms you may need. Include a feedback form or request with invoices, reports or other communiques you send to your partners. Get any compliments in writing! “Southall is all divided on religious lines. You will have caste institutions and religious institutions, and you will have Pakistani and Indian institutions and they are all very antagonistic. India and Pakistan have fought so many wars and our history is always written as one group against another. We wondered if we can travel and overcome all this with our common language. Then we thought of our our folk music, which is common to everybody, it transcends all barriers – even beyond Punjabis to the world at large. It is versatile, cohesive and interactive. It related to all the cultures, all the lands all the people. That was what we presented to our own people. When we started we would play songs and people would complain ‘hey, this is a Pakistani song’ because it was being sung by a Muslim and we would reply no, this is a Punjabi song. They would say ‘that person is not talking properly, take them off the air.’ In the early days we got a lot of angry phone calls and then slowly people realised music is a healer, it gives you fun, entertainment, it is non-threatening. Through the music we are bringing tremendous change. This is why all religious fundamentalists oppose music and dancing, because it brings people together. The gender balance was another difficult issue for us. We were told it was immoral for women to be coming in here and doing shows on their own, especially at night. We had to stick to our guns and say sorry, we are not going to stop women from doing programmes, they can come any time they like. There was a lot of fear and uncertainty about males and females working together. In Punjabi communities women have often been separated or not given a voice. Desi Radio opened the doors and now 90% of our volunteers are female. They have found a platform and found a voice. Speech programmes in particular were very difficult at the beginning. It was all so antagonistic. For the first six months we just didn’t open any lines. We didn’t talk to anyone and just let the music speak. Ajit Singh, co-founder and programming manager, Desi Radio. Accountability, democracy and community representation are wonderful things and sit at the heart of good community radio. But they can also pull you in many incompatible directions and generate a host of unreasonable or impossible demands. There may even be circumstances where the apparent wishes of your community are actually opposed to your stated aims and objectives of your station. To take a (we would hope purely) hypothetical example, it is possible to imagine a community where racial or sectarian tensions are running high, and there is deep suspicion or even hatred between two or more sections of the community. A community radio station devoted to bringing the whole community together may face outright hostility from a significant percentage of people on each side who are resisting closer integration and co-operation. In such cases obviously the station must hold true to its ideals. For an example of this please stay tuned to Radio Regen’s new work in Burnley (at the time of writing, a racist political party – the BNP – was making inroads into Burnley)! Even in less extreme cases there may be a case for limiting the amount of feedback you seek (see Box **). Desi Radio in Southall, serving the religiously, socially and culturally diverse Punjabi community of Southall, Middlesex, deliberately excluded dissenting voices for long enough to establish their identity and cement their founding ethos. Only once the ground rules were established did they begin to discuss the finer points of station policy with the community. The result has been a groundbreaking, highly popular and (now) fully accountable radio project. Whatever the nature of your community and however they are involved in the running of your station, you will have to continually remind yourself and your team of your founding principles, your raison d’etre and your promises to OFCOM as to what you will or will not deliver. To borrow an analogy from an earlier chapter, if you provide a solid frame and canvas, you can allow your representational systems to paint some beautiful details. Without a frame and a canvas, things are likely to get very messy. But is still less important than staying true to your founding ideals, visions and dreams.